When we talk about global knowledge, and about the action of globalizing knowledge, what do we mean? How do we think of this in terms of the responsibility of the University in generating global knowledge? What do we think in terms of knowledge flows and in terms of responsibilities of educators, intellectuals and marketers of global knowledge? This page is being provided to enhance the resources related to the presentation entitled "The Debate on the Meaning of Global/Globalizing Knowledge". 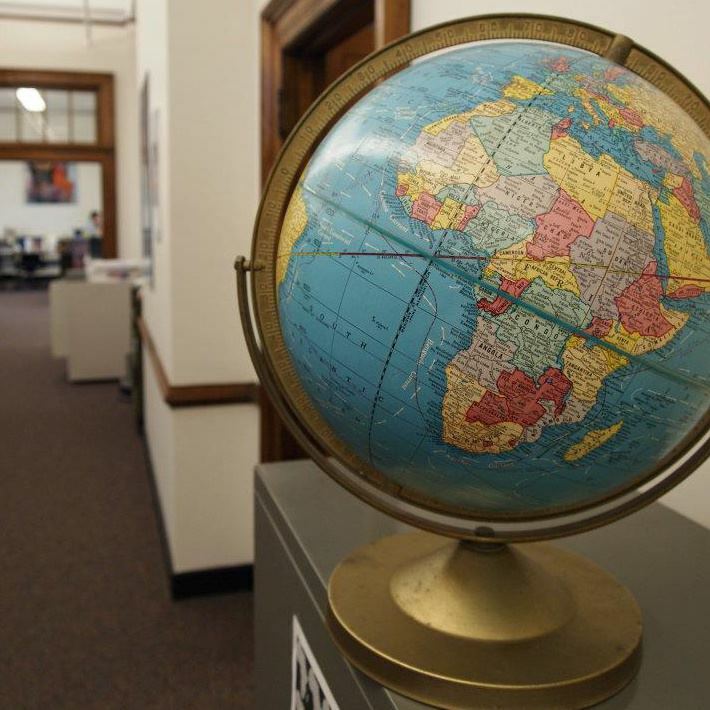 For information on upcoming events go to the Center for Global Studies homepage. Various guides exist to help you find your way around the physical and virtual University Library. We try to make things as simple as possible for you, but this is a complex organization and a lot depends on your willingness to explore! To find books go to the Library Catalog. If you do not know how to use it and would like some helpful hints go to Using the Library Catalog. The quickest and easiest way to find journal articles is to use the Easy Search on the Library Gateway page. If you have a specific database or journal title in mind, it could be online in the Online Journals & Databases list. If you have a citation from something you have read, you can check to see if we have it available by using the Journal and Article Locator. The PAIS Archive includes carefully selected resources to help users identify and locate information about significant political, economic, social and cultural issues affecting international and local communities, countries, governments and society. Its broad topical scope and retrospective coverage complement more specialized databases that cover the humanities, health care, agriculture, sociology, history, and many other disciplines, providing historical perspective on many of the 20th century's public and social policies. Also, the PAIS Archive database contains references to monographs, periodical articles, notes and announcements, and analytics, and the original historical subject headings have been retained within the file for enhanced searching capabilities. Provides abstracts and indexing of the international literature of political science and international relations, along with complementary fields, including international law and public administration/policy. Provides abstracts of journal articles, books, book chapters, dissertations and working papers, and citations to book reviews drawn from over 1,500+ serials publications. Abstracts and indexes the international literature in sociology and related disciplines in the social and behavioral sciences. The database provides citations from 1952 to the present to journal articles, book reviews, books, book chapters, dissertations, and conference papers. Major areas of coverage include culture and social structure; demography and human biology; economic development; environmental interactions; evaluation research; family and social welfare; health and medicine and law; history and theory of sociology; management and complex organizations; mass phenomena and political interactions; methodology and research technology; policy, planning, forecast and speculation; radical sociology; religion and science; rural and urban sociology; social development; social differentiation; social psychology and group interaction; sociology of the arts, business, education; studies in violence and power; substance abuse and addiction; welfare services; women's studies.